Bring you great convenience with better performance. The KingSpec SSD is undoubtedly a best choice for your computer. High speed experience allows you to enjoy remarkable speed. Faster than a SATA SSD. Low latency makes gaming more smoothly and exciting with PCIe and NVMe 1.3. Every flash memory particle are strictly selected to ensure its quallity. So it is more reliable and stronger read & write performance. Larger storage density and higher reliability than common 2D flash memory. Greatly enhanced read&write performance and operation speed. HMB can send those resource (not in requirement at present) to SSD via NVMe protocol to enhance performance. 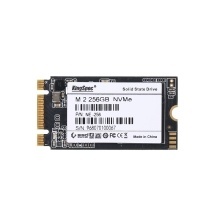 M.2 NVMe improves PC performance and capacity, and therefore promotes operation and gaming performance.